Click the button below to get resources on leaving us a review on Facebook, Yelp, Google, and our website. Thank you for the feedback! We couldn’t have asked for a better experience given the circumstances associated with this service. Dr. B was overly accommodating, and a pleasure to interact with. I cannot speak more highly of her or this organization, and we will absolutely utilize her again in the future. Thank-you for creating a peaceful memory for all involved. I just wanted to thank Dr. B. and Wren who came to my house to help me with the Euthanasia procedure for my dog Winston. Winston has been a part of my life for the last 14years and like all pets part of my family. In such an extremely emotional and difficult time Dr. B and Wren were here to comfort me and Winston. They made the entire process so much more comfortable for Winston and my family. I would highly recommend this service if you are considering it. It it worth every single penny. They even made a paw print for me and saved a lock of hair for me to keep. Things I would have never thought to do during such as difficult time but that I am so very thankful for. Thank you Dr. B. Your amazing. Keep doing what you do because you are helping people so much during a very difficult time. We are so greatful for Dr. B. Her professionalism, and empathy for our situation was beyond our expectations. Thank you for helping us make Lincoln’s unfortunate situation as peaceful as possible. Lincoln was very special to us, and is fiercely missed! Our family dog of 13 years, Sadie, was terminal due to cancer and we engaged Helping Hands by referral – to guide and assist her journey. Dr. B arrived at the appointed time and the experience was one of gentle greatness, empathy, and kindness. Sadie was put to ease through Dr. B’s technique and experience. Once settled in with friendship and love, both from us and Dr. B; at exactly the right time the process was completed without pain, suffering, or apprehension. An incredible experience – one of family and love; one that I would wish for everyone who may find themselves in this place. Our thanks is great and wonderful. Within the span of about one week, as I became more aware and responsive as to what I had to do to prevent suffering for my best friend Chloe, I easily transitioned into gradual trust and dependence on Dr B‘s option of in-home mercy and was graced to be able to use that option. I had never met the doctor before but I felt completely comfortable, and Dr. B validated my decision and eased me through the grieving process. She was professional and available to us in our hour of need. 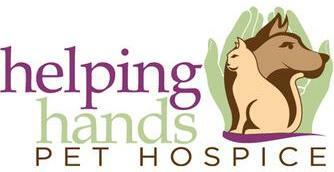 Thank you, Helping Hands. Thank you, Dr. B. and Jennifer for your exceptional and compassionate care last night with my fur baby and my family. You managed to turn an incredibly difficult situation into a beautiful and peaceful transition for all of us. I am very grateful to you both. Thank you Dr. B at Helping Hands for helping our Hunter pass so peacefully. The hardest part was the phone call requesting the service. You showed amazing insight of Hunter and learned his unique story. He knew you were here to help, and you took charge so that we could spend time saying goodbye. We are truly grateful for the perfect care you gave him. We also truly appreciate your messages and card of reassurance. We thanked our veterinarian for giving us your contact information and told them how well you cared for our special boy. Thank you for being there when we needed you. You are the best! I want to extend my sincere gratitude to Dr. Buisson and her assistant for making a deeply difficult time easier to bare. Her professional manner was accompanied by peaceful gentleness and patience. While helping my daughter’s young Rottweiler to pass she also helped my daughter deal with this loss with gentle humor while watching Zeva bury her face in a large cake as she fell asleep. Dr. Buisson’s words to Zeva were “you are going to a place where cancer is not allowed”. Zeva went to the Rainbow bridge in her favorite pink polka-dot dress and a face full of cake. Thank you. It’s a very sad day when we have to say goodbye to our fur babies. Today Dr. B helped our family say goodbye to our beautiful Italian Greyhound, Bandit. She was 16 years old and could no longer walk or see or hear. Her nickname was Snaggle-tooth because she only had 2 teeth left. But we loved her! Dr. B was amazing. She was gentle, compassionate and caring. She handled the situation with our boys (12 and 14) so wonderfully. Thank you for making such a difficult time a little easier and making it so beautiful. They were so compassionate as we said goodbye to our beloved Cody. The ability to do this in the privacy of our home and not have to stress him out with a car ride really brought a peace of mind and we would recommend them to anyone. I am so impressed by the compassion shown to my beloved pet and also the support i recieved as caregiver and best friend to Beauregard. I have been in the medical field over 40 yrs as an xray and ulrasound tech. I am so relieved to not be alone in the decision making process concerning the care and end of care of a beloved pet. I have felt guilt in the past having to make the decision on the end of life care of a pet. Did i do everything i could, did i have other options? Is he in pain? I can’t get him to the vet due to back and hip disabilities, did that play a role in the decision i made? I felt all my questions were addressed, i was not rushed. Dr B was very flexible with my work schedule and my Beau really felt comfortable with her. So far i am very happy with his care and highly recommend her for anyone in my situation and she probably is able to adapt to a multitude of situations because character, poise, confidence and expertise is always a winning combination. I highly recommend her. We have a long way to go but i feel less stressed overall. Dr. B and Wren were so thoughtful and supportive at a time I really needed someone to help my boy. They came to my home because I didn’t want to put my baby through the emotional trip of going to a Vet. It was so much better for Chance to pass at home, he had no fear or confusion to deal with. He was sleeping on my bed when they got here. We all went in the bedroom, even his cat brothers. They were all on the bed with him when he passed. This is always emotionally painful but Dr. B also made it peaceful and gentle. She handled getting him to Pet Angels for cremation and he is back home with us once again. I want to send a heartfelt thank you to dr. B and Tammy. You really helped make this very hard time for my mom easier. My mom and Lizzy (cocker ) we’re able to be at home comfortable. It made things easier having you explain everything and letting my mom said the pace every step of the way. I can’t thank you enough. If anyone is having any doubts on what to do or where to turn you need to check out dr. B and staff. I can’t find the words to express how grateful I am to hold my baby as she passed from this world into God’s loving arms. Dr. B was wonderful…compassionate, loving, gentle, and kind. Honestly I can’t express how grateful I am for Dr. B.
Dr. B was priceless getting us through it all. She patiently helped me cope up to a month before Sir Disco went to sleep and the day of she was patient, kind and understanding. What a blessing and very dignified. Words can’t express my/our gratitude. I just want to say thank you so much for the extraordinary care that you showed to my Sadie girl. I will write more later once I collect myself and my thoughts. I absolutely love that God led me to these folks. My animals are my family and I would not want my family to die on a cold table in a loud office. They helped me transition my beloved little girl, Maggie, and I will FOREVER sing their praise for the way they handle her and the rest of the family. Everything happened so fast, 16-years with my best friend came to a screeching halt in less than a couple of hours. I’ve NEVER met Doc B before Thursday, but gave her a call and met her in less than 30-minutes. She was amazing, comforting, respectful and (most importantly), she had TONS of patience. She even asked if I wanted our photo taken (I was a wreck) and now I have one last memory with my best friend. Vix and I sat by the lake, he ate handfuls of treats, and was pain-free! Thank you for being such a compassionate person, Doc B! They were so kind and understanding, they were the best! Doc B has got to be an animal angel. She was so great with PePe and us. She texted me to make sure that all of us were doing ok in the days leading up to PePe being put to sleep and texted us after to make sure we were ok. Not once did she ever look at her watch or a clock or ask us if we were ready. She took all her cues from us and gave ussas much time as we needed. She listened to our stories of PePe and even added her own story of meeting him and falling in love. It especially meant a great deal that she laid PePe in a basket with a beautiful fuzzy purple blanket as if he were just sleeping. No pet should be made to suffer and she made sure that PePe’s journey to the Rainbow Bridge was as peaceful as I could have ever hoped. Thank you, Doc B, for assisting us through the evaluation and decision to let Ebony go. Being able to say goodbye to her at home, knowing she was at peace and surrounded by her family, was the most humane thing we could do for her. Thank you again for your kindness and compassion. Having at-home services available for our mastiff, who was having issues getting around, was the most wonderful gift. Dr. B put us all at ease with what to expect. My big guy was at peace and pain-free, at home, surrounded by his family. We are very grateful for Dr. B.
I have worked as a tech for Dr.Buisson, she taught me so much about quality of life and compassion. It is something to this day I have carried with me as a vet tech. I owe it all to her example. DocB was truly amazing throughout the process of losing my dog. I’m so grateful and recommend her to anyone. Given the circumstances, my kitty Gatino, 15 years old, had renal failure and I had to make the difficult decision to put her to rest. Dr. Buisson was incredibly comforting and kind and compassionate, while being uplifting and making me feel very secure in my decision. It is NEVER easy, but this experience was the best I could receive for my baby. I miss her and will always suffer and grieve because she was just so special. But her way to Rainbow Bridge was comforting and peaceful! If you’d like to share your thoughts, please do so below by clicking a link to Facebook, Yelp, or Google. You can also complete the testimonial form below. Thank you!